The most important thing you need to remember is that LinkedIn Profiles are for individuals and Company pages are for businesses. If you are asked to connect with a business using a profile, you should decline or ignore such an invitation. LinkedIn have said that they will be closing down these profiles as they do not follow their guidelines. When set up correctly, your LinkedIn Company page is another asset that can rank in Google for your chosen keywords. It’s definitely worth doing. But there are rules! Read on to find out more. Does your LinkedIn Company Page already exist? Type the name of your Company into the search bar to see if there is a Company Page already – it will appear in a dropdown list it LinkedIn has automatically generated one. To be able to create a LinkedIn Company page, there are some strict guidelines – due to previous issues with scammers. No gmail or hotmail addresses are allowed. To create LinkedIn business pages, the company’s email domain must be unique to the company. This is something that small business should be particularly aware of. Many will not have bothered to set up a domain based email for their business. And it could cause them issues if they want to create a LinkedIn company page. 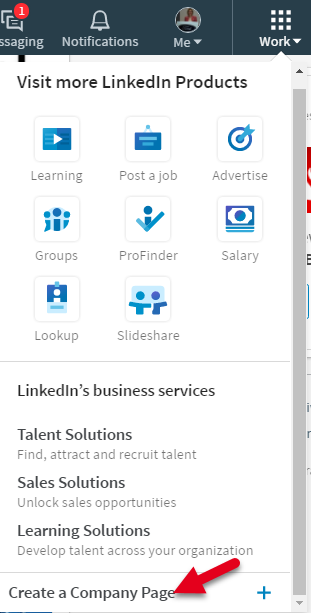 The person who wants to create the LinkedIn Company page must be a current employee with the position listed in the profile’s Experience section. And that profile must be at least Intermediate in strength. It must also have several connections already. You will need to add the Company name and your email address at the company. You will also need to check the box to verify that you are the official representative of the company and have the right to act on its behalf in the creation of a page. If you do not enter a domain-based email address here, it will not allow you to proceed. Remember, take care about what you write in the field for Company name. Whilst you can amend the title of your page, the URL for the page will be set in stone after that first screen and cannot be changed so get it right first time. When you’re done, remember to click Publish at the top right! Follow the Lollipop Local Company page for more tips and tricks on using LinkedIn. You can also get our free ebook on getting your business found online. Click the image below.